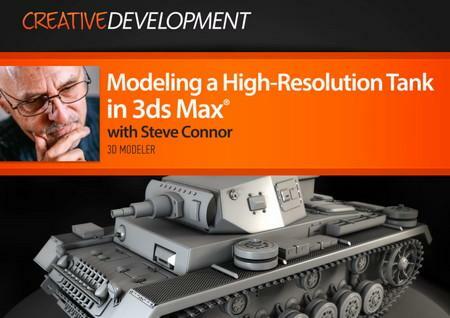 In this 3ds Max tutorial, we are going to model a Panzer III WW2 German tank. Some of the key takeaways from watching this training include learning how to build a high-polygon model tank with hard surface modeling techniques using TurboSmooth, cutting round holes in polygons, and how to make the tank tread, twisted towing cable, tool mesh, bolts, turrets, hatches, wheels, and lights. We will also create a presentation material designed to display the model's detail, set up a Sky Portal Light, and render our model's edge loops as wires to showoff our modeling skills. Finally, we will render out passes in mental ray, including ambient occlusion, specular, and alpha.Then we will wrap things up by compositing our render passes to create a final image in Photoshop.